Members of the New Hardy Players perform works from a wealth of Dorset voices such as Thomas Hardy, William Barnes, Hugh Simpson, and Douglas Northover. We also include original work written by the group’s talented writers, as well as other entertaining pieces. Music, song and dance all add to the fun. New members are welcome to come and join us in these performances. We may be willing to put on a performance (in Dorset) to raise money for your cause – for which we charge a fee. 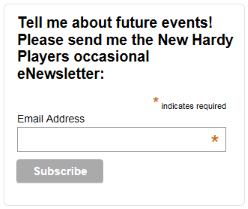 If you are interested please email newhardyplayers@gmail.com or phone 07787 123927.